Also available ~ Rifle Boresnakes. Cleaning kit for rifles in tough storage case. 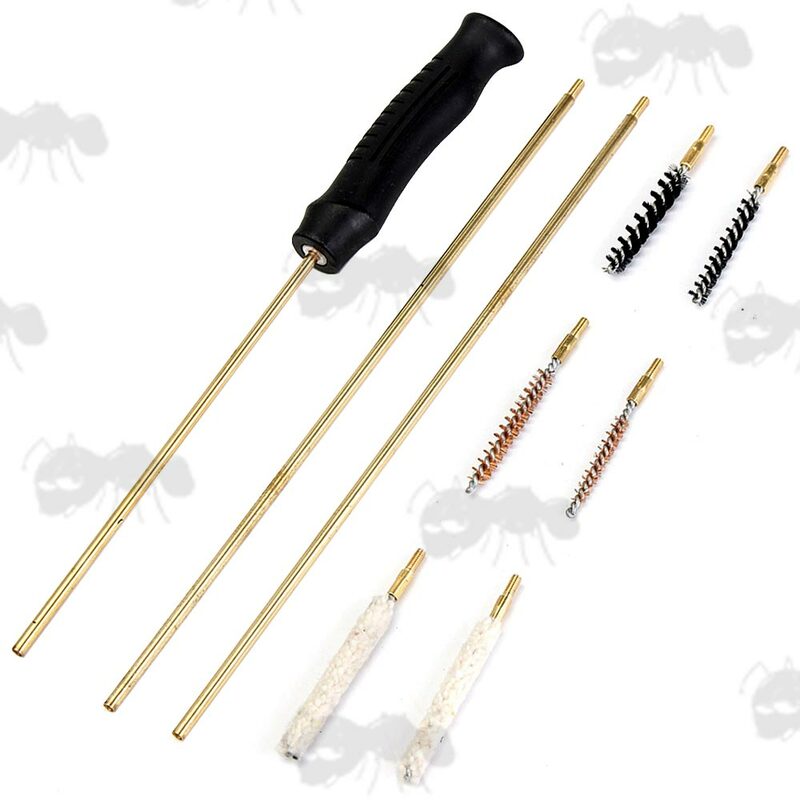 Black ABS plastic handle with brass, three piece rod set, that is 27 inches / 69cm long when combined. With a wool mop, bronze wire brush and black nylon spiral brush. Rod thread type UK 5/32” x 32 TPI BSW. 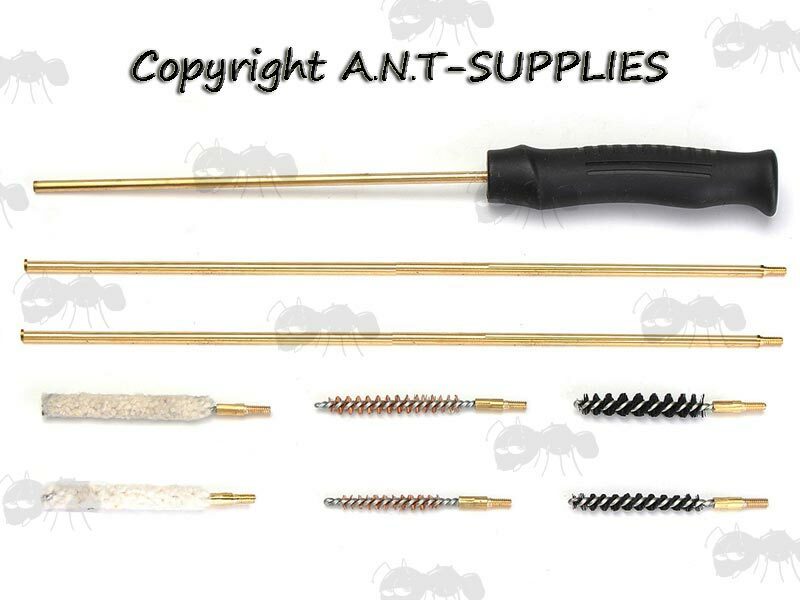 They can be fitted with some other .22 attachments, some are available from our maintenance and care page. Or fitted with USA #8-32 male threaded attachments with the use of the ProShot USA .22 to UK rods adapter. Black ABS plastic handle with brass, three piece rod set, that is 25.5 inches / 65cm long when combined. With a wool mop, bronze wire brush and black nylon spiral brush in both .177 (4.5mm) and .22 (5.5mm) calibre. Rod thread type USA #5/40 female threaded. They can be fitted with other calibre attachments, with the use of suitable adapter maintenance and care page.